Mary’s Nutritionals is the non-THC containing product line from the people who bring you Mary’s Medicinals. Their medicinal products are celebrated in states that have medical marijuana for their effectiveness, unique blends and novel delivery systems. Their Mary’s Nutritionals line does not contain any THC and instead focuses solely on the healing power of hemp-derived CBD. Because there is no THC in these products, Mary’s can ship them all over the country and they can be purchased online. The response to these all-CBD products has been strong and is growing as more people realize they can buy them online for shipment anywhere. Their CBD patch uses the award winning Mary’s transdermal delivery system. It sticks to your skin and offers a slow release of CBD over a 4-5 hour period. It is incredibly convenient for patients with seizures and many other conditions. Pretty much every human is better off with additional CBD in their body so this is a product everyone can enjoy. 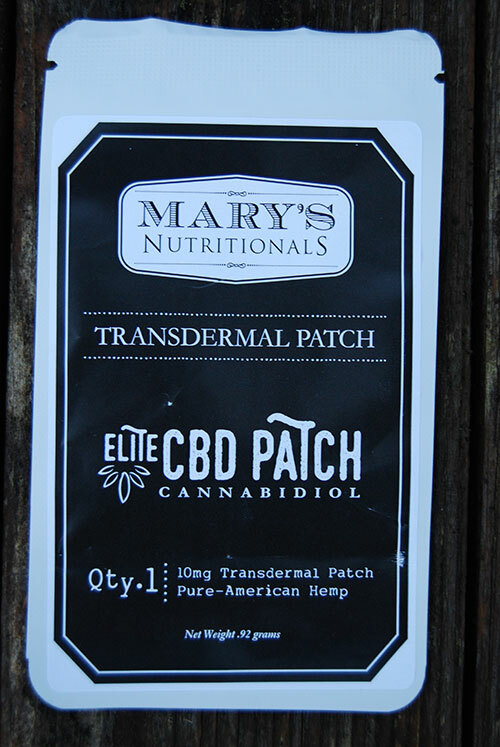 Transdermal CBD patch from Mary’s Nutritionals. 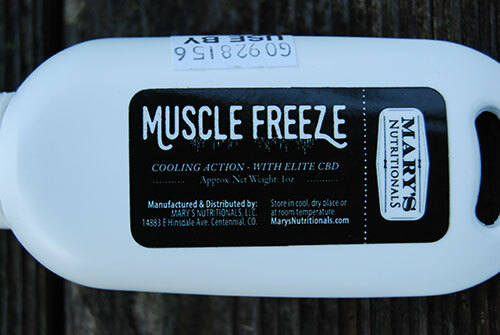 Similarly, the Mary’s Nutritionals Muscle Freeze is a CBD-rich topical targeted for active folks who experience soreness deep in their muscles and wish some relief. Actually, we can imagine it being used with patient bed soreness from inactivity too. Unlike some other muscle relief products, there is no unpleasant scent with this formula so not everyone standing around you will be off-put by your healing. CBD muscle-cooling topical rub from Mary’s Nutritionals. The Mary’s roller pen is another award winning application device and this time has been filled with lots of CBD and terpenes to soothe your pet. Humans have been offering relief to animals with cannabis almost as long as we have been using cannabis ourselves. This gel pen is intended to be used locally near an injury or generally by rubbing it inside the pets ear. Many choose this product to offer relief to pets that have had surgery, experienced cuts, are experiencing stress or bowel issues or are just the nervous type. Many domestic animals have an endocannabinoid system as well and respond well to CBD and terpenes. Graham Sorkin of Mary’s Medicinals and Mary’s Nutritionals has appeared on the Ganjapreneur podcast and you can hear him describe the products and the company’s philosophy here.